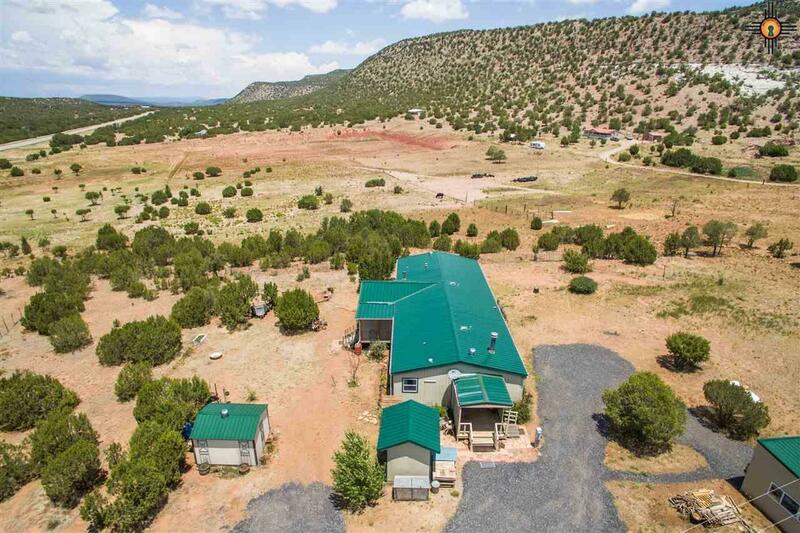 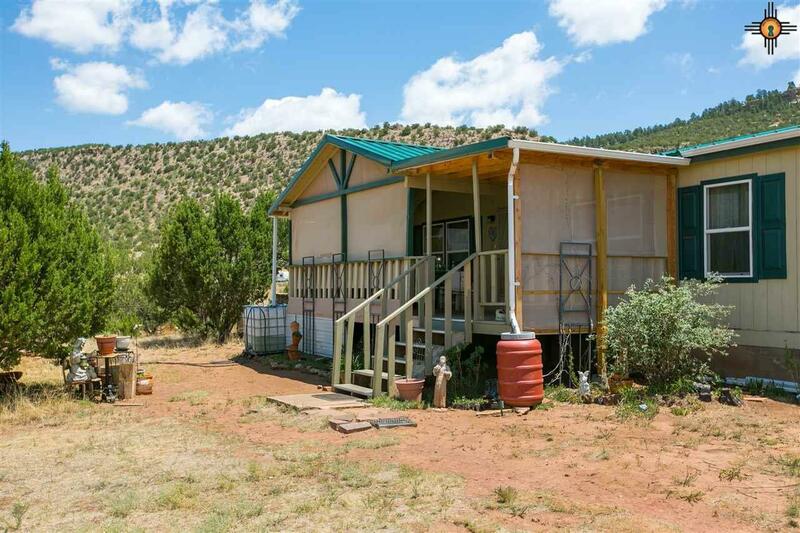 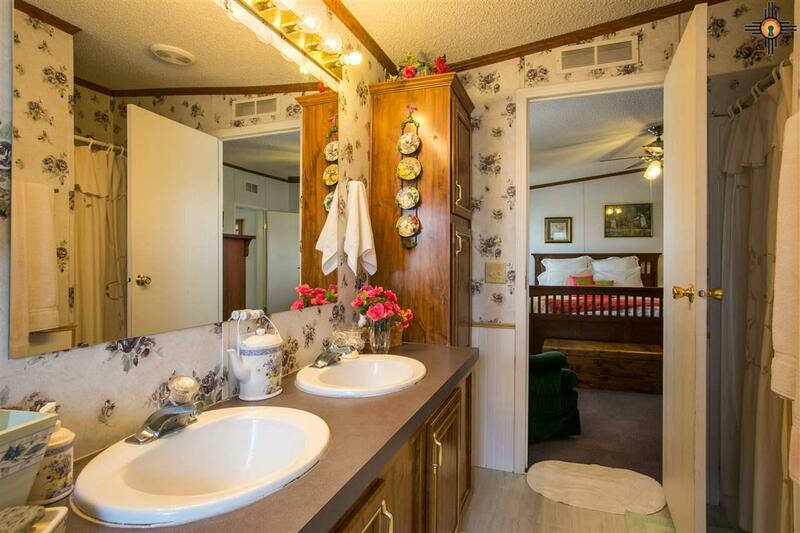 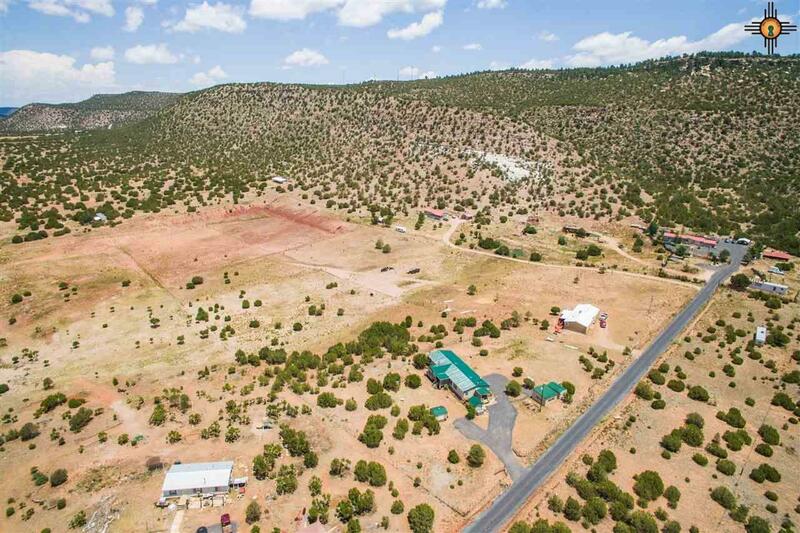 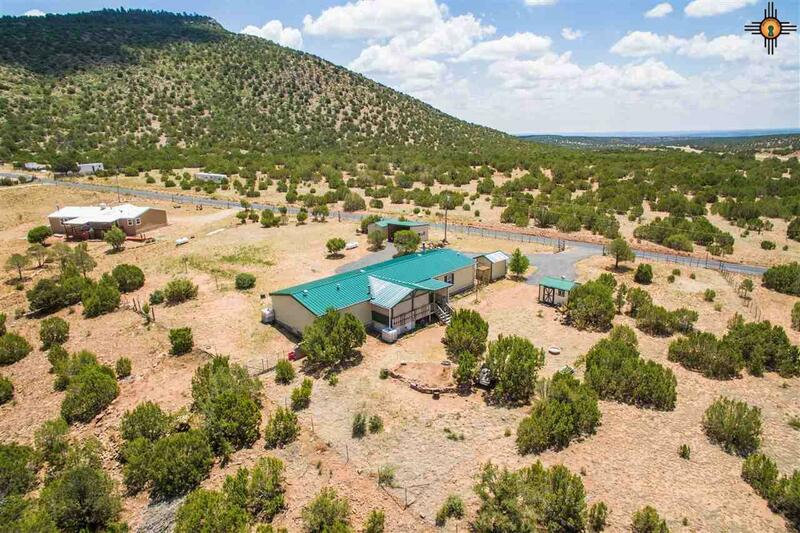 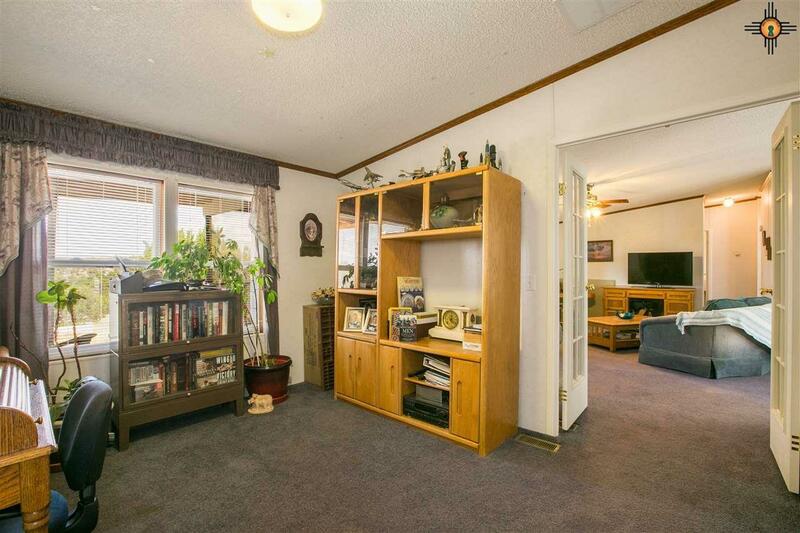 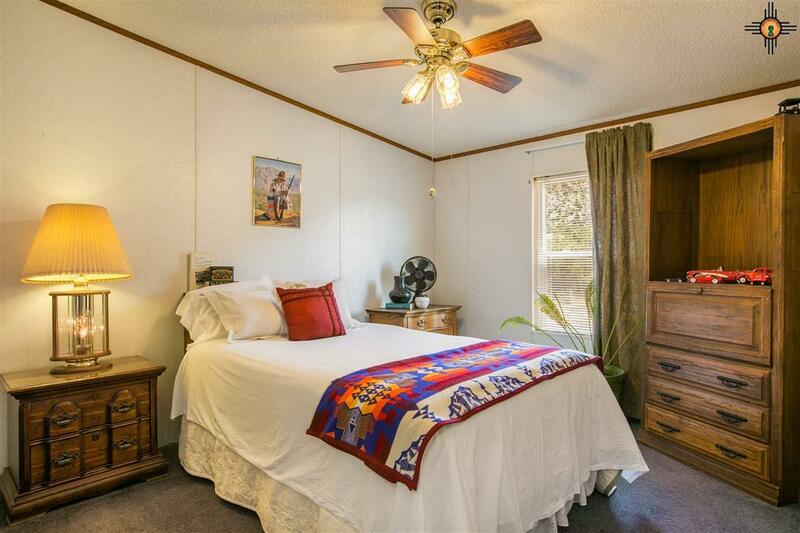 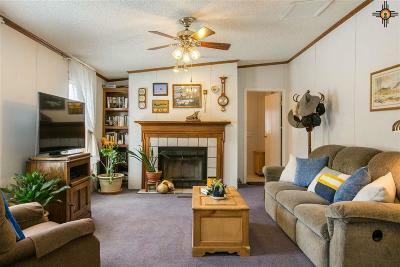 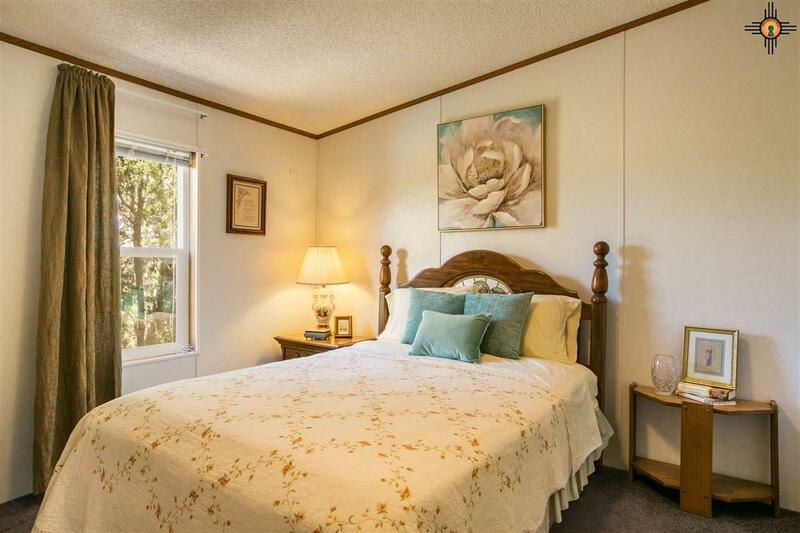 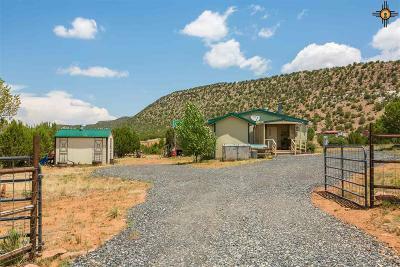 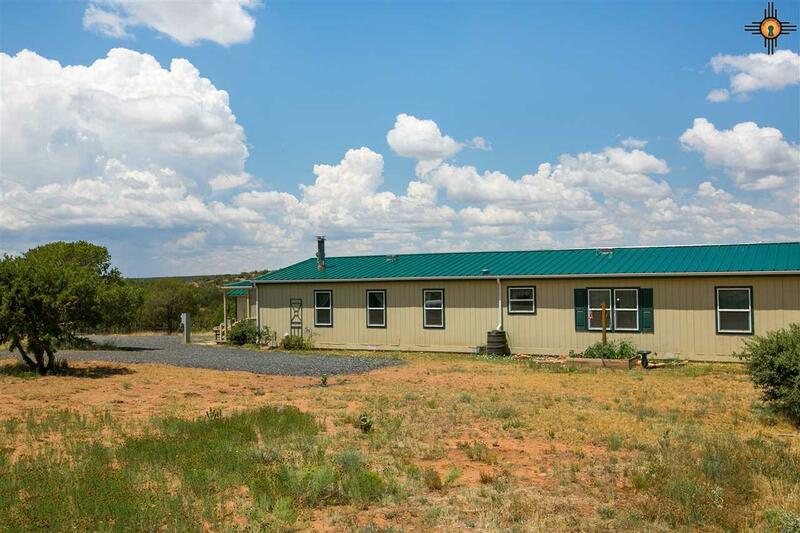 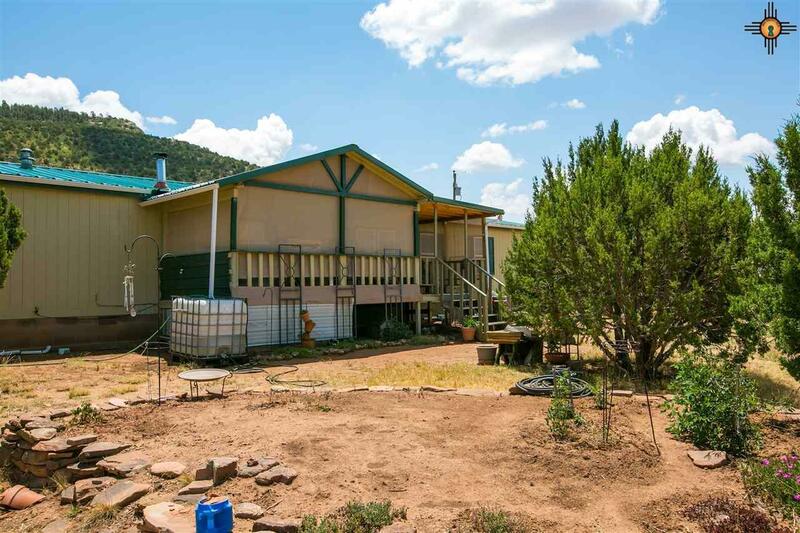 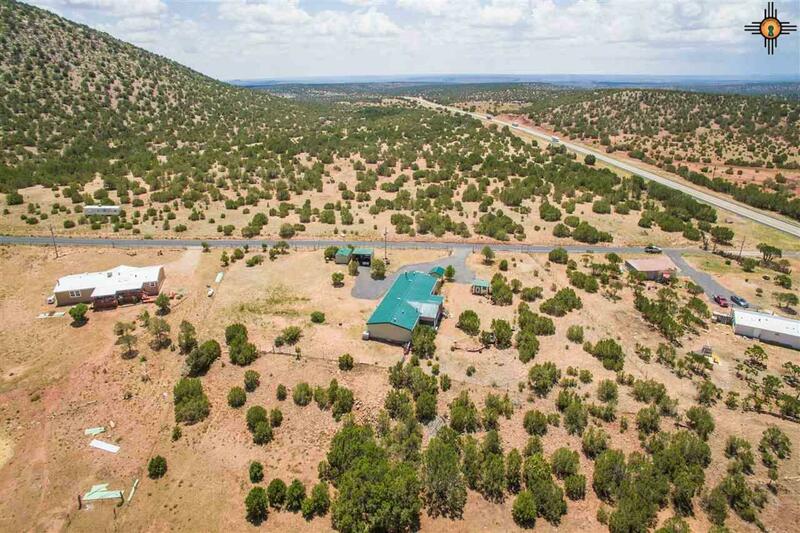 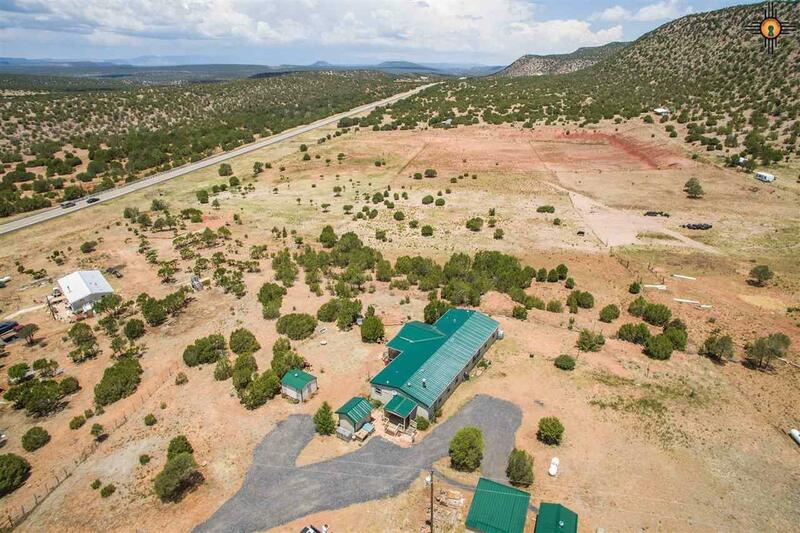 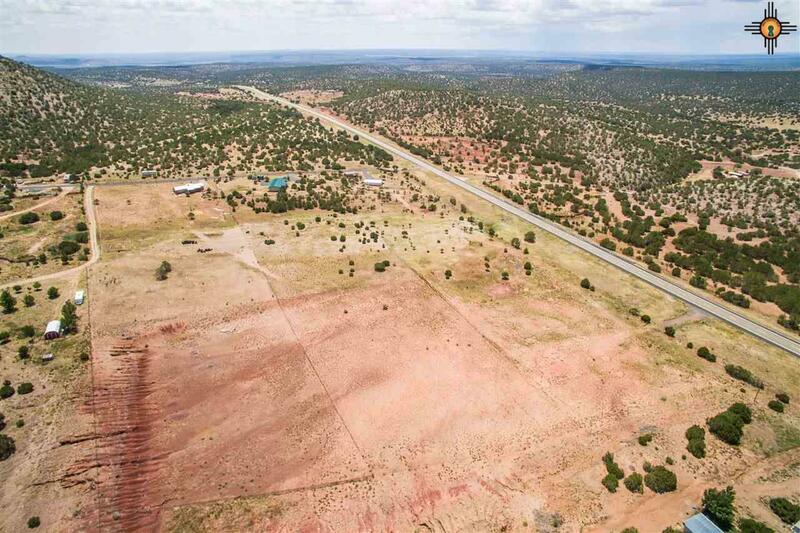 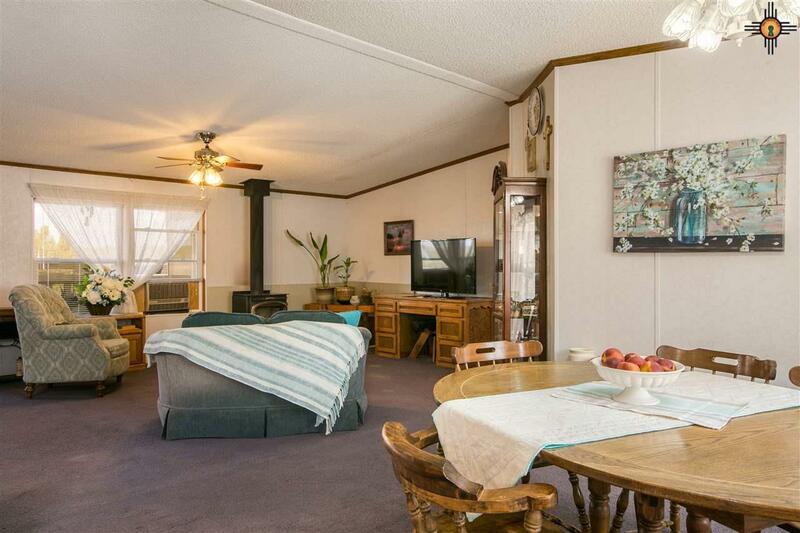 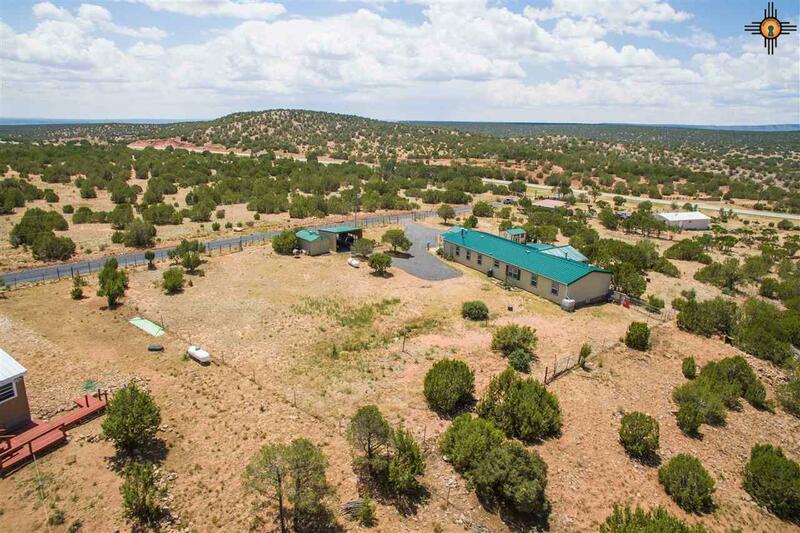 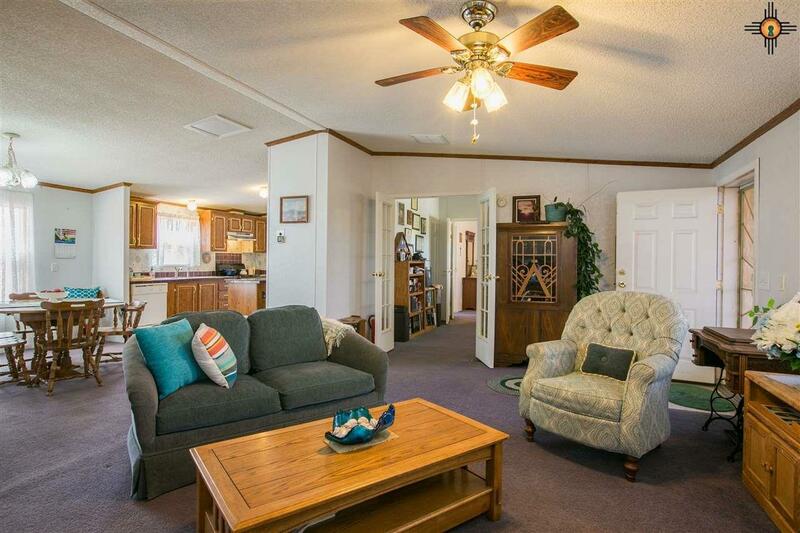 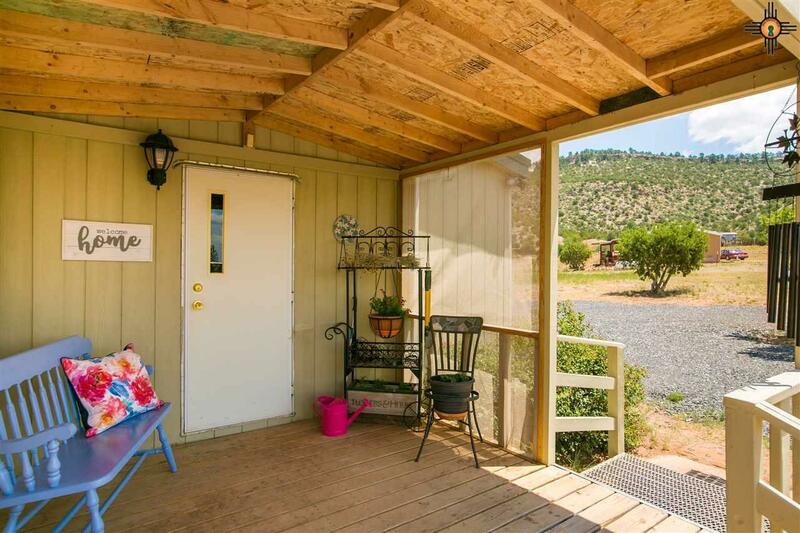 Close to Las Vegas, but refreshingly rural, this 2001 Masterpiece double-wide mobile home is located on 5.724 fenced acres in the Los Montoyas area. 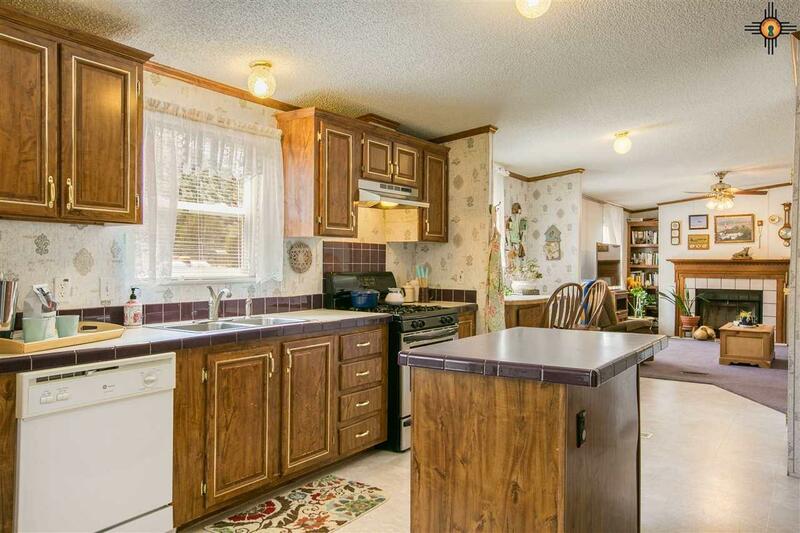 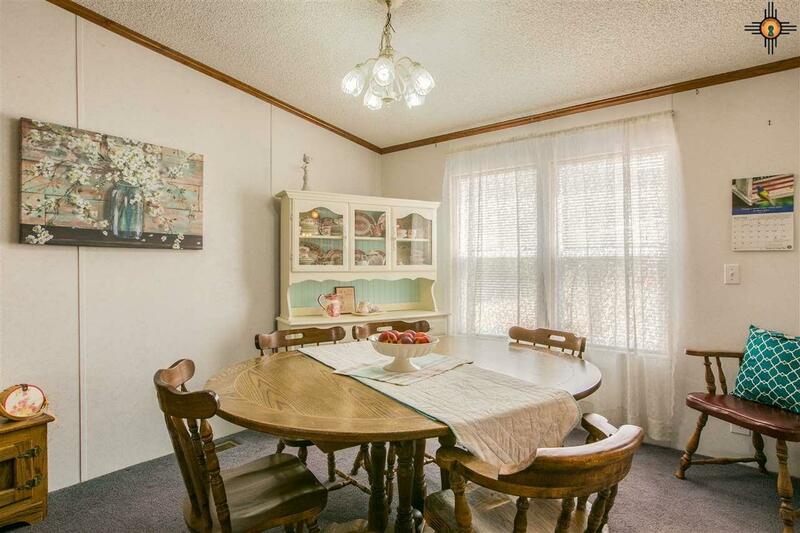 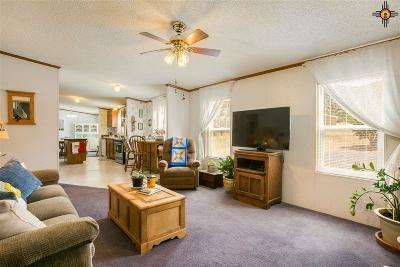 Beautifully kept by the current owner, the 2142sf home has 4 bedrooms, another possible bedroom, 2 living areas, a breakfast nook or office, 1 3/4 baths, & a utility room. 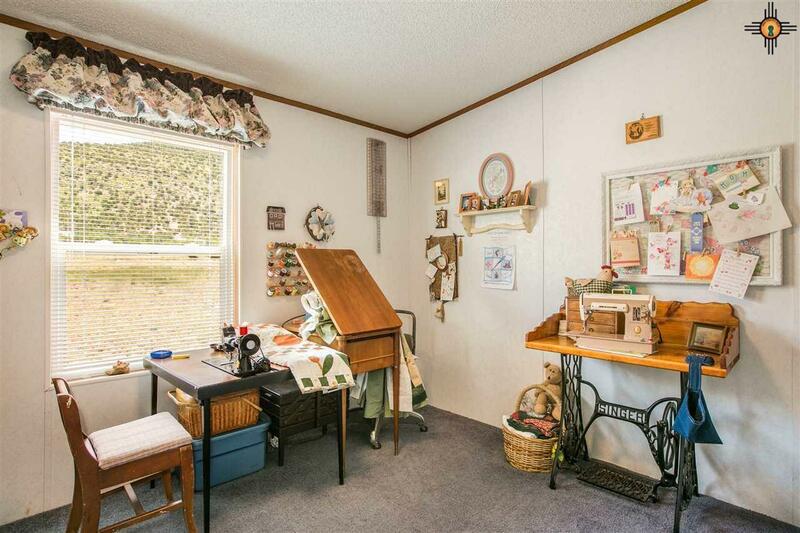 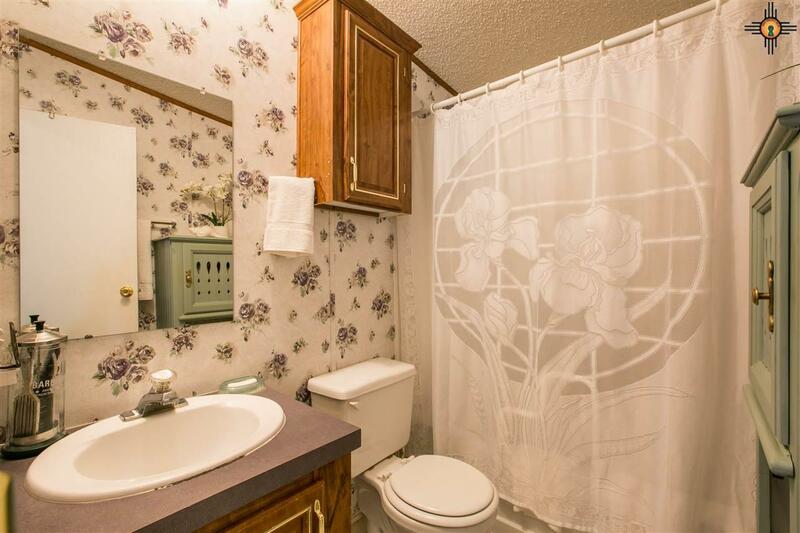 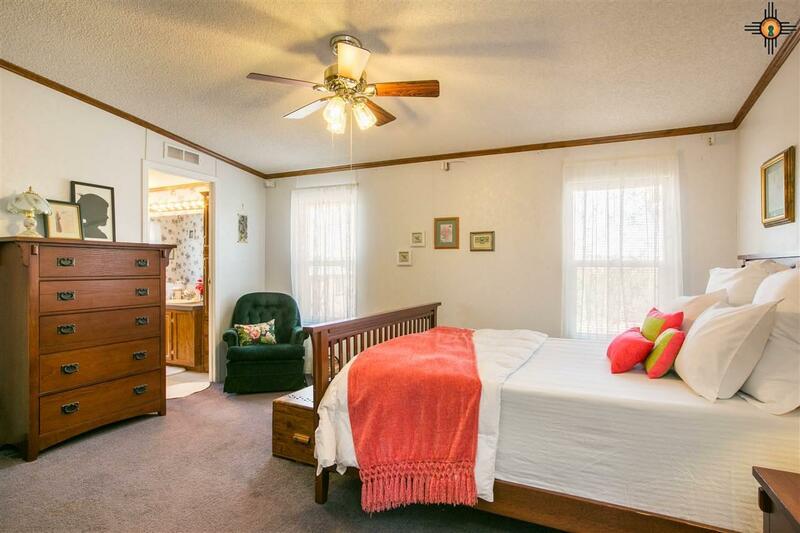 There is a walk-in closet in the master bedroom. 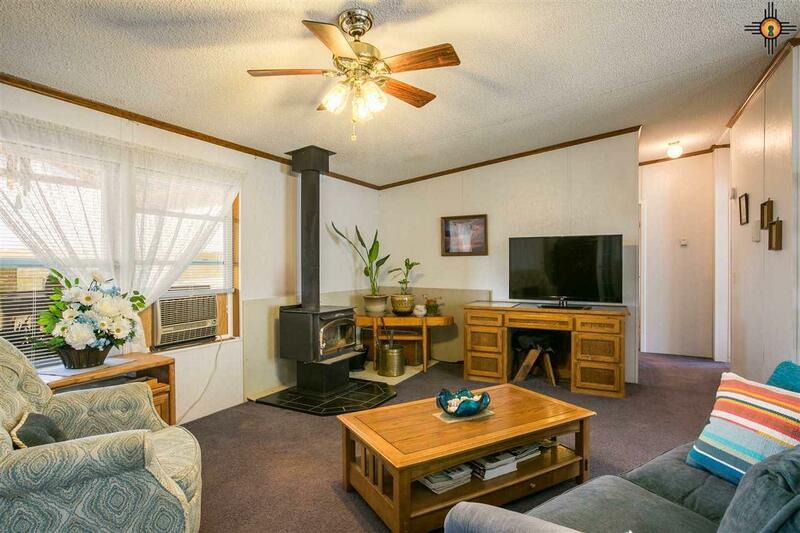 Propane central forced air heat, a woodstove & fireplace, & a swamp cooler keep you comfortable year-round. 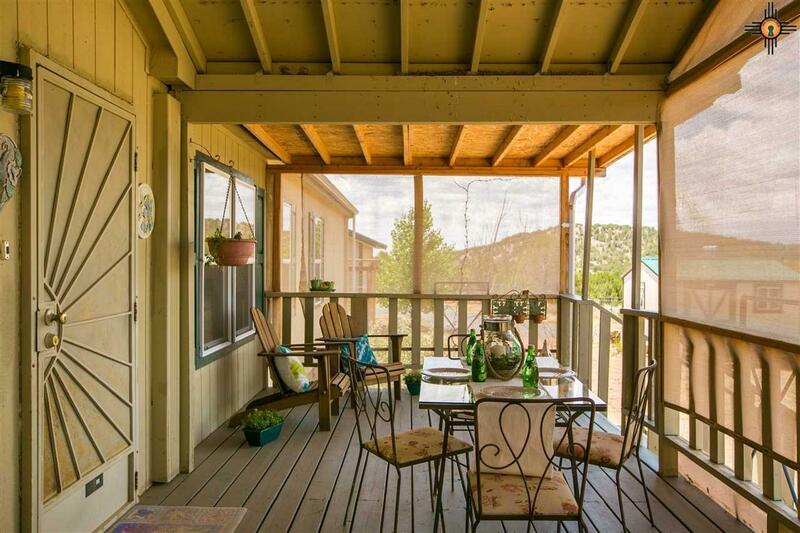 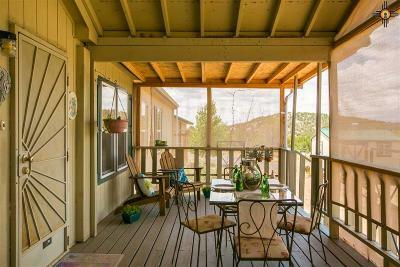 Relax & enjoy 360* views from covered front & side decks. 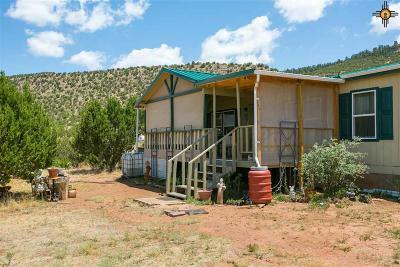 Sturdy 2x6 construction, new propanel roof, windows & gutters (summer 2018). 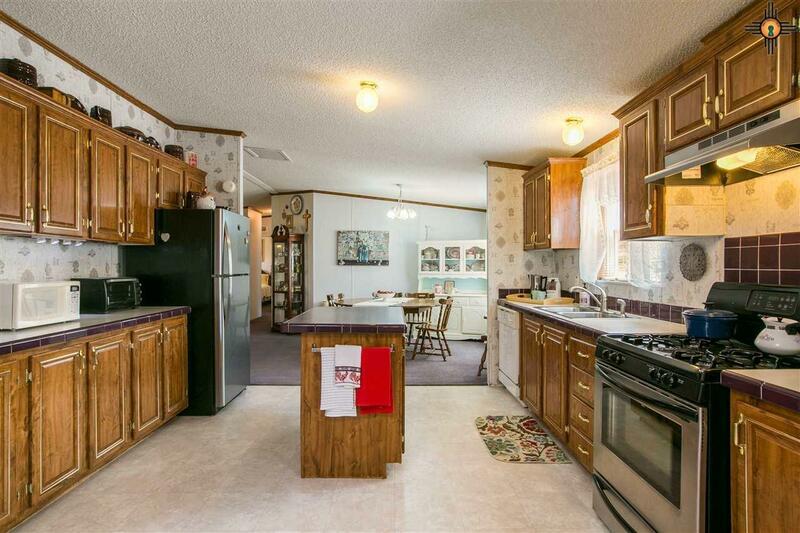 A new gas hot water heater and 3-year-old refrigerator add to the value. The property has 2 entry gates, a shed, a large one-car carport, a well house, & a black shale driveway. 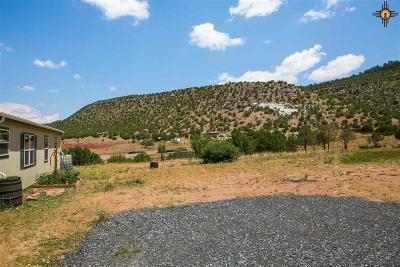 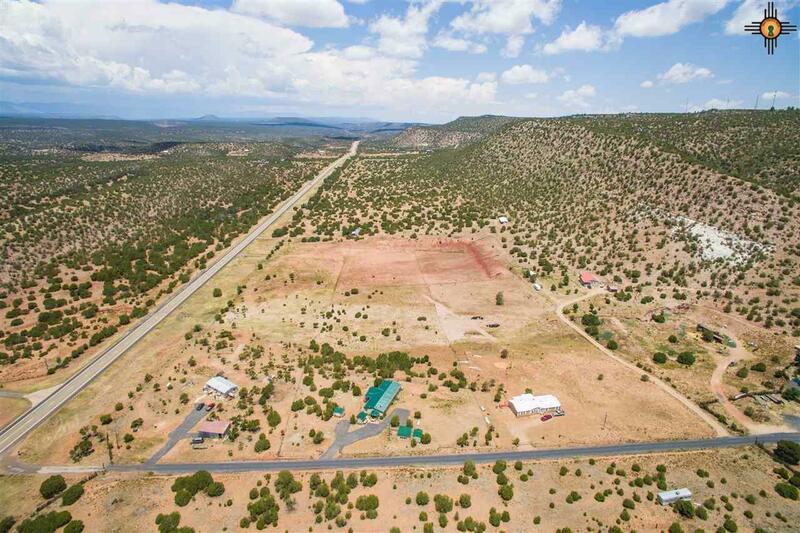 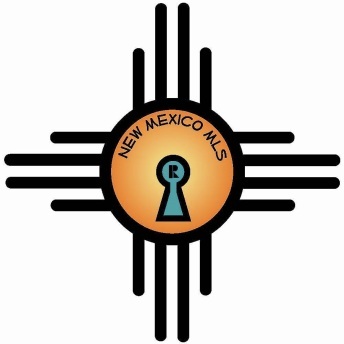 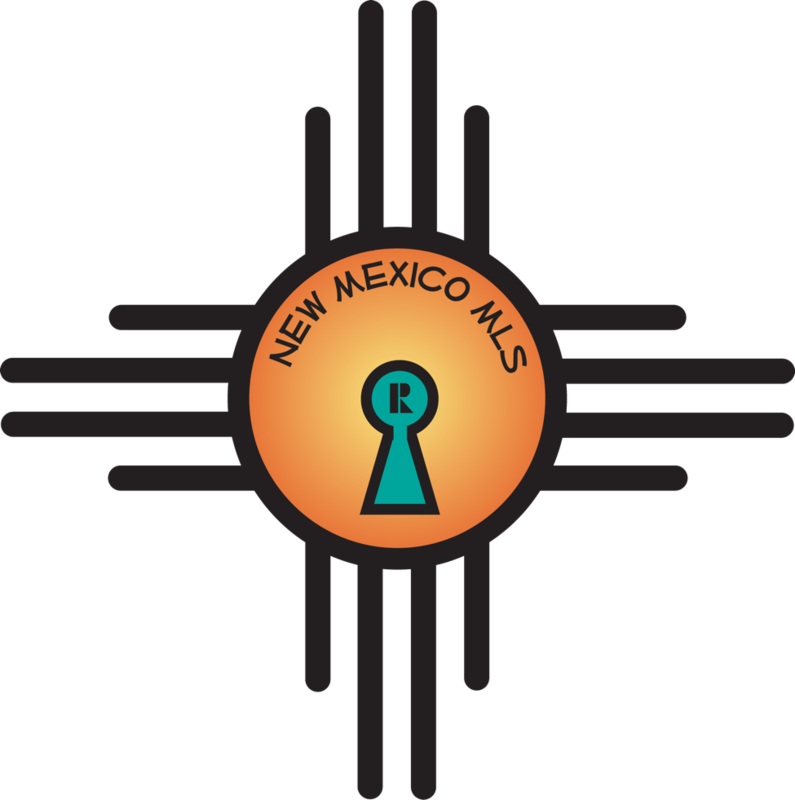 Some landscaping & 2 raised beds add to the natural beauty of the northern New Mexico landscape.